Mahavir Jayanti will be celebrated by 2019 people on April 17, Wednesday. Mahavir Jayanti is celebrated every year especially by the people of Jainism and other religions in the celebration of the birth day of Mahatma (also known as Vardhaman). Mahavir Swami was the 24th and last Tirthankar of the Jains, who, with the discovery of Jainism, established the principal principles of Jainism. He was born in the Kundalgram in Vaishali district of Bihar, on the 13th day of the Chaitra month of Shukla party, 540 BC. For this reason Mahavir Jayanti is celebrated every year on April 13 with great enthusiasm and joy. This is a very important and traditional festival for the Jains. It has been declared as a gazetted holiday all over India, on this day all government offices and educational institutions have a break. In Mahavir Jayanti Jains, Mahavira is celebrated as the birth welfare. According to the Gregorian calendar, it falls yearly in the month of March or April. It is celebrated with great enthusiasm in all Jain temples across the country. All temples and places connected with Mahavira are decorated with flowers, flags etc. on this special occasion. On this day, before the ceremony and worship the idol of Mahavir Swam is taken in a traditional bath and after this, the grand julus or procession is taken out. This day is the tradition of distributing clothes, food, rupees and other essential items to the poor. Such events are organized by Jain communities. Grand festivals are arranged in Girnar and Palitana including Gujarat, Shri Mahavir ji, Rajasthan, Parasnath Temple, Kolkata, Pavpuri, Bihar etc. 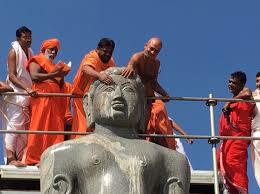 It is celebrated by the people by anointing the idol of Mahavir Swamiji locally. On this day, people of Jain religion are involved in the program of Shobhayatra. People go to the Jain temples to meditate and worship. 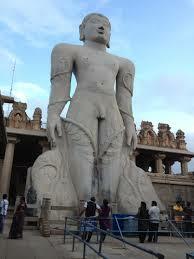 Some great Janani people give speeches in the temples to bring the principles of Jainism to the people. Mahavira Swami, 24th and the last Tirthankar of Jainism, 540 BC Born in a princely family of Bihar, formerly in India. It is believed that, during his birth all the people were full of happiness and prosperity, for this reason they are known as Vardhman meaning Vishnu. They were born in the house of Raja Siddhartha and Queen Trishala. It is believed that, from the time of his birth, his mother had started to have wonderful dreams about them, that this would either be the emperor or the pilgrimage. After his birth, he was given ritual baths by the goddess of heaven as a pilgrim from heaven. He abandoned his home in search of religious awareness at the age of 30 and through the deep meditation of 12 years and 6 months, he was successful in acquiring Kaivalya. He started traveling all over India and gave constant education to the people for 30 years giving education of truth, non-violence, non-violence, Brahmacharya and non-Brahmin. At the age of 72, he attained Nirvana and became one of the great pilgrims of Jain religion, which is why he is considered the founder of Jain religion. There is a lot of difference between the birthplace of Mahavir Swamy, some people say that they were born in Kundaligram, Vaishali, Lachaur, Jamui, Kundalpur, Nalanda or Basokund. However, there are still uncertainties about their place of birth. His parents were great followers of Parasav They were named Mahavira, which means great warrior; Because he had controlled the terrible snake in his childhood. They are also known as Sanmanti, Veera and Nataputra (meaning Son of Nata). There is a lot of difference in the context of their marriage too, some believe that they were unmarried, while some believe that they were married to Yashoda and they had a daughter named Priyadarshana. After leaving the house at the age of 30, he became absorbed in deep meditation and faced a lot of difficulties and problems. After many years of meditation, they experienced the power, knowledge and blessings. After acquiring knowledge, he traveled to educate people with the philosophy of real life, its qualities and the joy of life. Five philosophical theories of their philosophy were non-violence, truth, untouchability, Brahmacharya and Apirigrah. His body received Nirvana at the age of 72 and his holy soul became independent for ever after leaving the body and achieving Nirvana, i.e. salvation. After his death, his body was performed in Pavapuri, which is now famous as the Jain temple, the Jain temple.